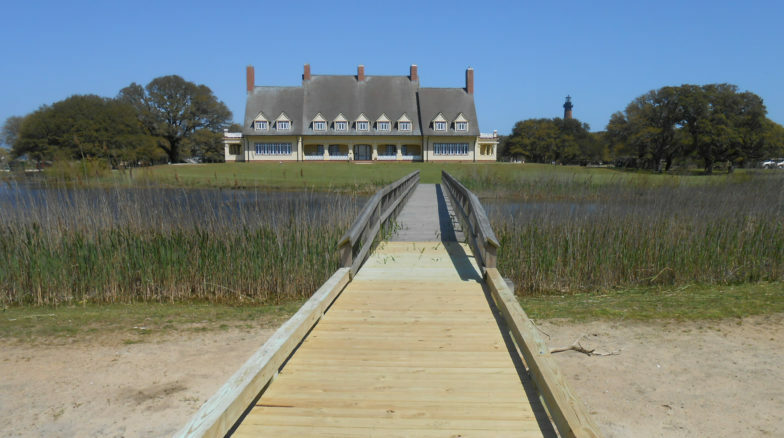 Since completing the Master Plan for Corolla’s Heritage Park at Whalehead in 2013, Surface 678 continued with the next phase of the site development. 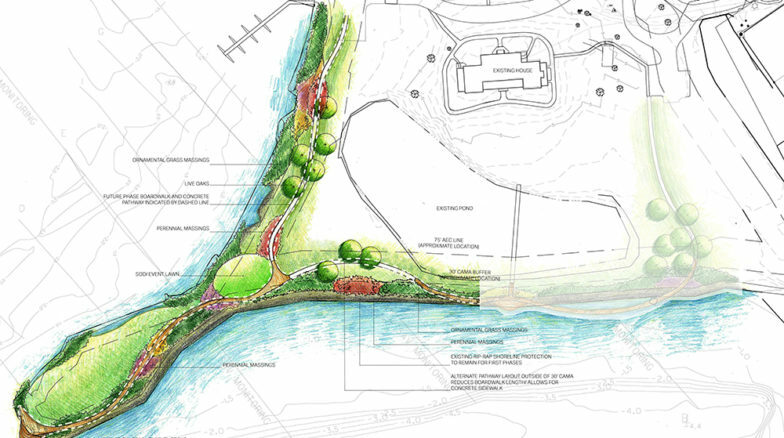 Our team created a distinctive design “family” for signage used at the historic site, as well as developing a palette of appropriate coastal plants to embellish the natural areas. In the continuation of the multi-phased project, we designed the monumental entry signage, directional and pedestrian pathway signage. 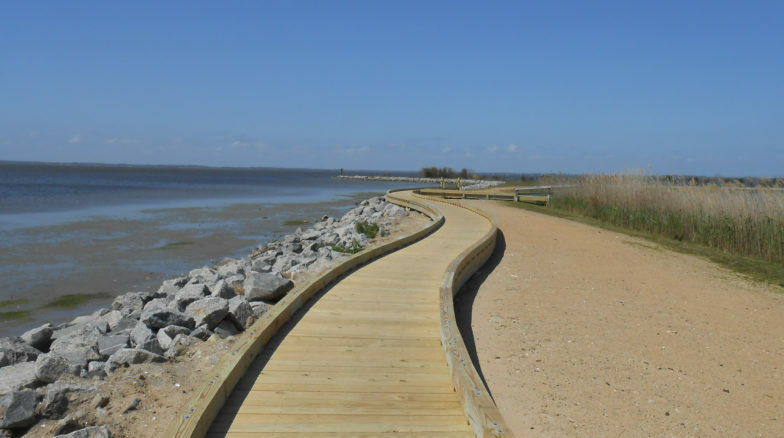 Also included in this first phase is the development of the Loop Trail, which will include pathways and boardwalks along the ocean shoreline. Appropriate coastal plantings will accentuate the site’s southern and western exposures.